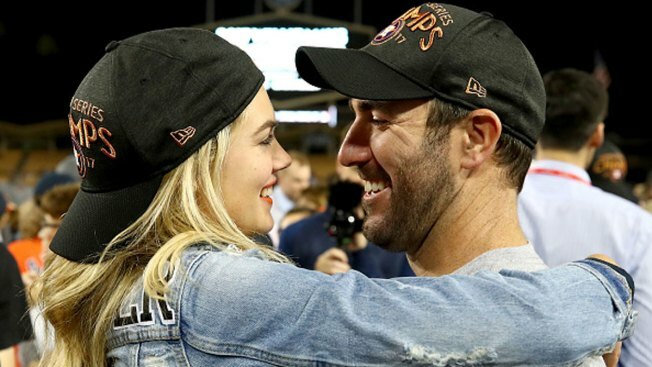 In this Nov. 1, 2017, file photo, Justin Verlander of the Houston Astros celebrates with fiancee Kate Upton after the Astros defeated the Los Angeles Dodgers 5-1 in game seven to win the 2017 World Series at Dodger Stadium in Los Angeles, California. Supermodel Kate Upton and Houston Astros pitcher Justin Verlander are expecting their first child. Upton announced the pregnancy on Instagram on Saturday in a post with the hashtag "pregnant in Miami." 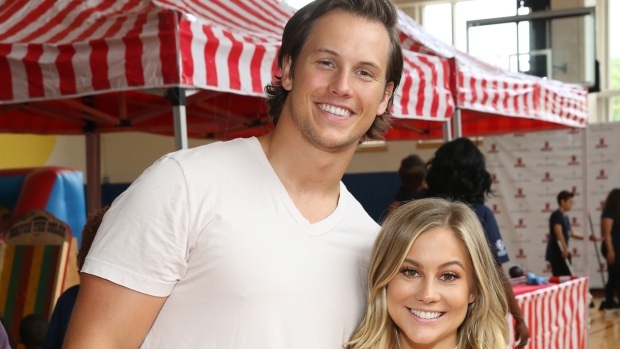 The picture of her in a red, high-waisted suit and white top revealed a slight baby bump. Verlander, who was selected to his seventh All-Star Game on Sunday, reposted her post later Saturday with the caption: "You're going to be the most amazing Mom!! I can't wait to start this new journey with you! You're the most thoughtful, loving, caring, and strong woman I've ever met! I'm so proud that our little one is going to be raised in this world by a woman like you! I love you so much."